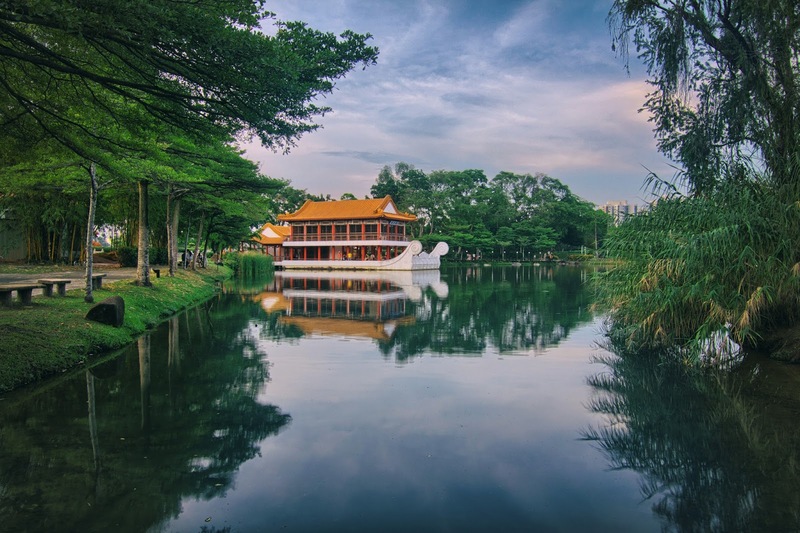 The Chinese and Japanese Garden is not very popular among the tourist, but for any photographer this place is golden ! 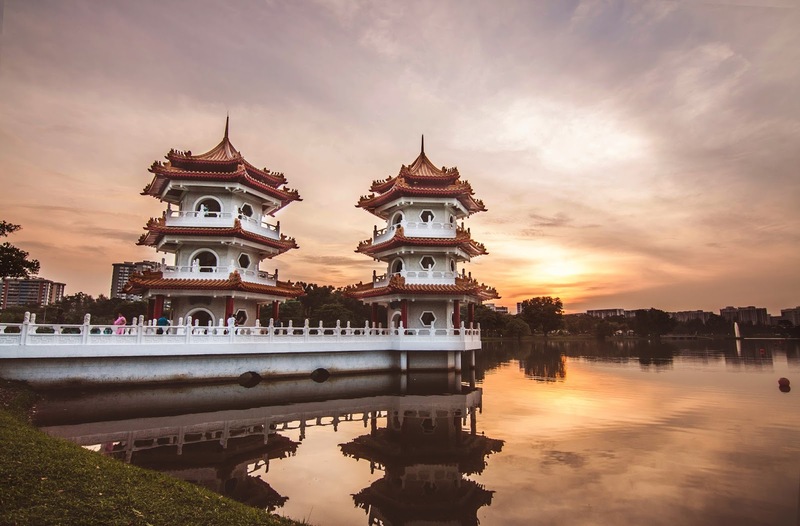 I was searching for good photography spots in Singapore and I came across a long exposure shot of the twin pagoda in this garden and I immediately decided to check it out. 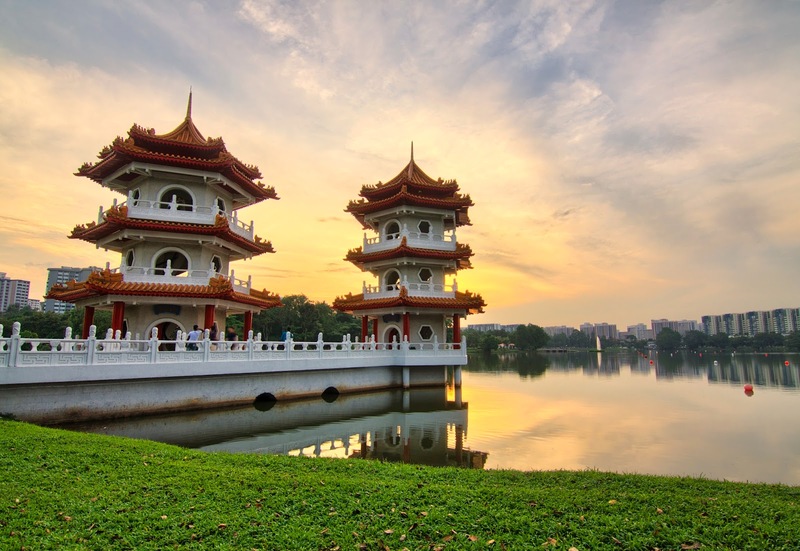 The garden is built on 2 small islands in Jurong Lake, one a Chinese themed garden and the other traditional Japanese. The garden's are filled with a rare collection of bonsai imported form Japan, Malaysia, Thailand, Taiwan and Indonesia. 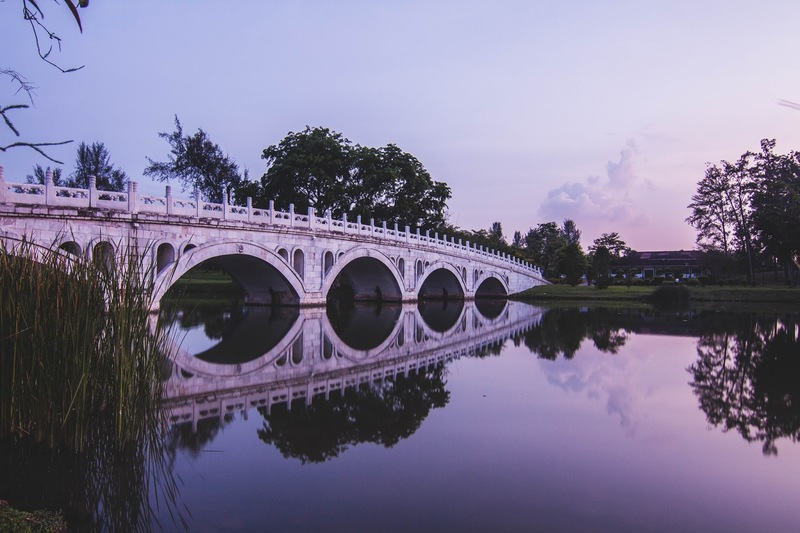 A number of beautiful sculptures of ancient warriors are scattred across the garden and you will find plenty of stone arch bridges. 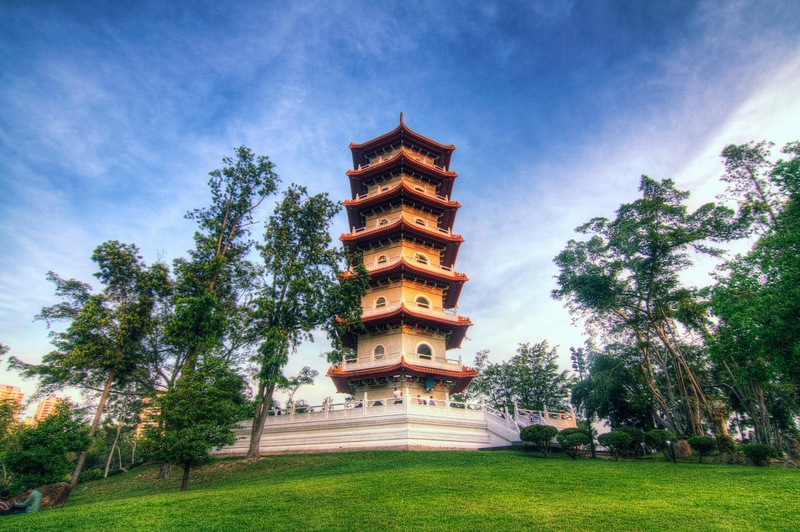 The most striking building in the grounds is the 7 storied Pagoda inspired by the Linggu Pagoda in Nanjing, China. I waited for quiet some time with my tripod till the light turned golden to capture the below image of the pagoda's. The best time to visit the garden would be around late evening an hour before sun set. When I got to the Pagodas there were a lot of photographers setting up for the perfect shot. Make sure to carry a sturdy tripod and wide lens. The Japanese garden has an amazing landscape styled after the Muromachi period which are characterised by stone bridges, pebble paths, waterfalls and Pagodas. 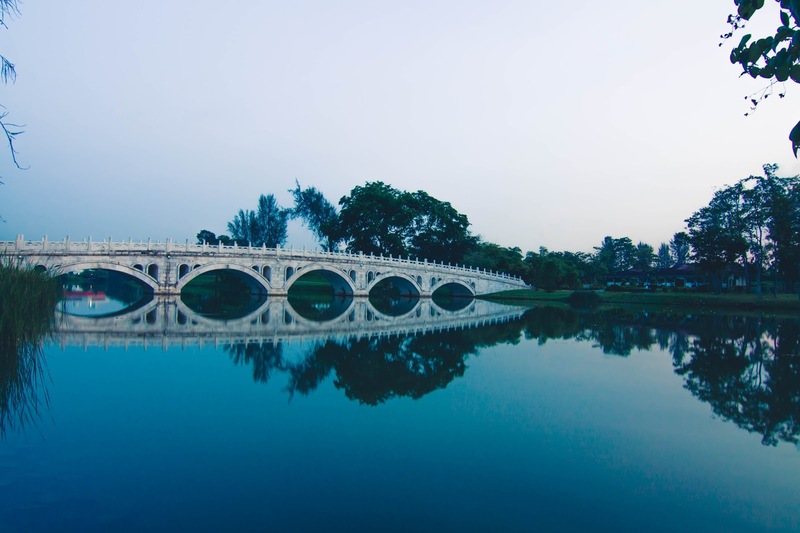 The gardens are connected by a beautiful white bridge called 'Bai Hong Qiao' which translates to White Rainbow. 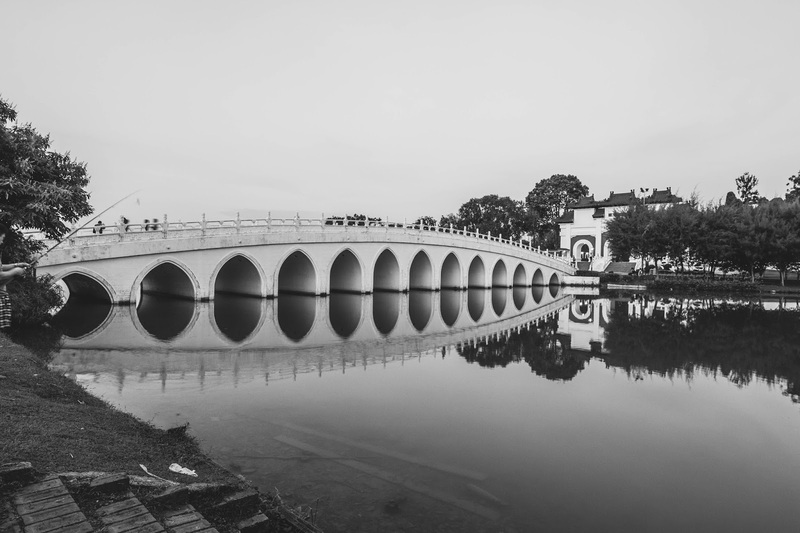 The bridges design is based on 17 arch bridge at the summer palace in Beijing. 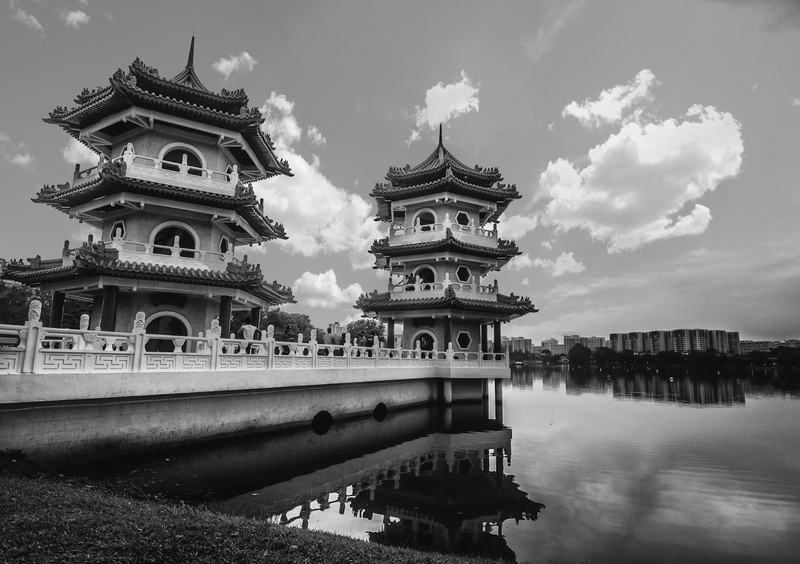 The Chinese & Japanese Gardens are an amazing spot for photography, the Chinese Garden has a lot of visual appeal where as the Japanese Garden is more tranquil and calm. I would suggest first covering all the popular landmarks and only if you have extra time head to the garden. Also note that the garden is location quiet far from the city but is reachable by the subway line.